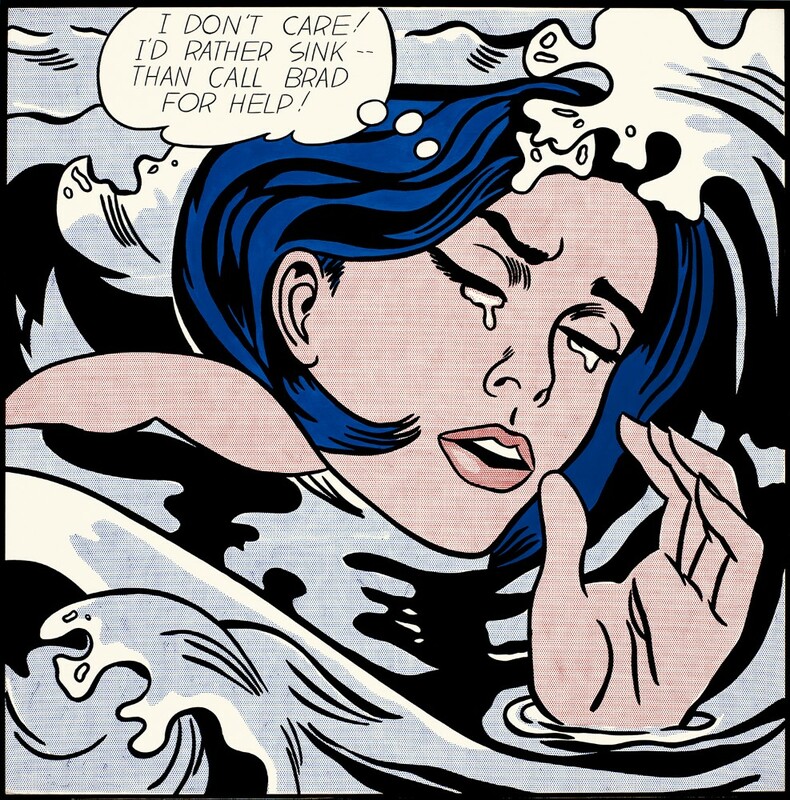 Family Court Philosopher #27: I'm Drowning, Don't Save Me! I'm Drowning, Don't Save Me! Human relationships are an interplay of two opposing psychological forces. One is a desire to merge with others—to become a part of the group, to fall in love, to be taken care of. The other is the desire to be unique, valuable and powerful in ones own right: to differentiate yourself from others and find your own path. These two forces are always present in each of the parties of a relationship. The urge to merge draws you closer to the other, while the need to differentiate tells you when to stop. In healthy relationships, you find a balance between the two. In dysfunctional ones, people tend to swing wildly between the extremes, typically resulting in numerous explosions interspersed with cloying displays of affection. Divorce is often the end point in that game. Ah, love! Who doesn't want to fall that way? The desire to merge with another person is often intense, but once you start, where do you stop? You start falling in love—falling, falling—but pretty soon you have fallen too far. Suddenly, you wake up in a panic. "I can't breathe!" That's when spouses become bitchy and fights start for no good reason. There is always an excuse for the conflict—something that one partner supposedly did or didn't do—but it isn't the real reason. The real hidden spark was one partner sensing, in a panic, that they were losing themselves. When you feel "swallowed up" in a relationship, you are going to react. Hopefully, you can push the other gently away: "I need my space right now." Of course, most humans don't possess that kind of diplomacy or restraint. Instead, they get aggressive. They try to regain their internal balance by complaining, tantruming, engaging in behavior they know the other doesn't approve of, or even getting involved in an illicit affair. People with a poor sense of their own boundaries tend to find themselves in intense and volatile romances that bounce between the extremes. They fight and make up, fight and make up, until the final explosive terminal conflict, after which no further making up is possible. Once a certain threshold of overt aggression is reached, then the relationship becomes an all-out war that only Family Court can sort out. You don't usually see this kind of volatility in casual relationships, like with your coworkers, classmates or grown siblings, because these tend to have their own natural boundaries. It takes romance to bring out all the insanity. Nowhere else are the expectations so high and the boundaries so ill-defined. When you see a friend who you have known for years go through a nasty divorce, you sometimes wonder, "How did they ever get this crazy?" You are either stunned by their own behavior, which may be inexplicably petty and mean, or you wonder how they could have tolerated the other lowlife for so many years. Divorce is often a window into things you never knew about your friend. Underneath the veneer of civilized society, people are desperate. They want to be loved, but as soon as they are, they panic and want to be free. This is an element of even "healthy" relationships—both sexual and nonsexual. There is a continuous push and pull that dynamically defines the boundaries of the relationship: I want you close, but not too close. Children want to merge with their parents but also need to differentiate themselves. Their alternating tantrums and pleas for affection are an expression of this. This conflict becomes more fevered during adolescence. Some sort of primal urge for separateness kicks in around puberty—"Don't touch me! "—but there is still a childish need to be taken care of. The two impulses are often irreconcilable, and the teenager can be darn near impossible to live with. Sometimes we can only shackle the kid in the basement and wait patiently for the insanity to subside.